Are you looking for Squirrel Removal in NJ? 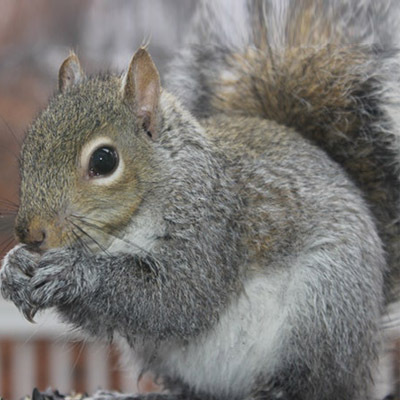 ALCO Animal & Pest Control offers prompt, professional and safe Squirrel Removal in NJ since 1995 for many satisfied clients. Whether it is residential or commercial Squirrel Removal , ALCO Animal & Pest Control will solve your Squirrel problem in no time. Our trained and experienced Squirrel Removal technicians are qualified to handle a variety of Squirrel situations. ALCO Animal & Pest Control will keep you safe and keep you in line with state and local animal laws. ALCO Animal & Pest Control uses environmentally friendly Squirrel Removal products as well as humane Squirrel Removal methods to keep you and your children safe while performing the Squirrel Removal job. Our knowledgeable pest technician will answer any questions you may have and explain to you every detail you need or want to know about the job. We are always friendly and we are here to help you get rid of Squirrels. Frequently found in residential neighborhoods, these animals are notorious for eating out of bird feeders, digging in potted plants either to bury or recover seeds, and for inhabiting sheltered areas including attics. While many companies sell "squirrel-proof" bird feeders, which very few of them really are. Although these animals are primarily arboreal (and, therefore, very good climbers), they are also able to live in urban environments that are largely free of trees. Squirrels are sometimes considered pests because they chew on various edible and inedible objects; a habit which helps keep their teeth sharp while also wears them down (rodents' teeth grow continuously). Homeowners in areas with a heavy population of these rodents must keep attics and basements carefully sealed to prevent property damage caused by nesting. Some homeowners resort to more interesting ways of dealing with this problem, such as collecting and planting fur from pets (such as domestic cats and dogs) in attics. This fur will indicate to nesting squirrels that a potential predator roams and will discourage habitation. Fake owls and scarecrows are generally ignored by the pests, and the best way to prevent chewing on an object is to coat it with something to make it undesirable -- for instance a soft cloth or chili pepper paste or powder. Professional pest controller will also trap squirrels to remove them from residential areas. These animals can be trained to be hand-fed. Because they are able to cache surplus food, they will take as much food as is available. They frequently live in city parks and college campuses have learned that humans are typically a ready source of food. Hand feeding is not recommended, however, because they may carry animal-borne diseases. Even if they do not carry disease, they often have a hard time telling fingertips from food, and their bites are painful.